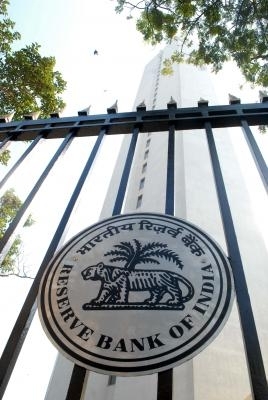 Mumbai, Nov 19 (IANS) The RBI board on Monday decided to form an expert committee to examine the economic capital framework of the central bank, which will decide the amount of reserves it can maintain, handing over the balance to the government. The board also considered other issues related to the liquidity crunch in the economy and decided that the matter of relaxing the Prompt Corrective Action (PCA) norms to clean up the balance sheet of banks burdened with bad loans will be looked into by RBI's Board for Financial Supervision (BFS). Eleven of the 21 state-run banks are under the PCA framework. The non-performing assets (NPAs), or bad loans, accumulated in the Indian banking system have touched a staggering Rs 10 lakh crore. The decisions were taken following a crucial board meeting here that lasted over 9 hours to discuss the liquidity crisis that initially triggered a tiff between the government and the central bank last month. "The Reserve Bank of India's Central Board met today in Mumbai and discussed the Basel regulatory capital framework, a restructuring scheme for stressed MSMEs (micro small and medium enterprises), bank health under the PCA framework and the Economic Capital Framework (ECF) of RBI," a central bank statement said. "The Board decided to constitute an expert committee to examine the ECF, the membership and terms of reference of which will be jointly determined by the Government of India and the RBI," it said. The government has been wanting the RBI to transfer more money to it from its reserves. However, the RBI feels it needs to have a stronger balance sheet to deal with any potential crisis and external shocks. The meeting had been called amid growing tensions between the Centre and the RBI after the Finance Ministry recently sought discussions under the never-used-before Section 7 of the RBI Act, which empowers the government to issue directions to the RBI Governor. "The Board also advised that the RBI should consider a scheme for restructuring of stressed standard assets of MSME borrowers with aggregate credit facilities of up to Rs 250 million (Rs 25 crore), subject to such conditions as are necessary for ensuring financial stability," it added. Though the board decided to retain commercial banks' capital adequacy ratio at 9 per cent, it agreed to extend the period for implementing the last tranche by one year. "The Board, while deciding to retain the CRAR (capital to risk weighted assets ratio) at 9 per cent, agreed to extend the transition period for implementing the last tranche of 0.625 per cent under the Capital Conservation Buffer (CCB), by one year, that is, up to March 31, 2020," RBI said. On the CRAR issue, the government maintains that the capital norm for Indian banks at 9 per cent are much higher than that prevailing for banks overseas. The RBI's central board currently has 18 members, including Governor Urjit Patel and his four deputies as full-time official directors, while the rest have been nominated by the government, including the Economic Affairs and Financial Services Secretaries.